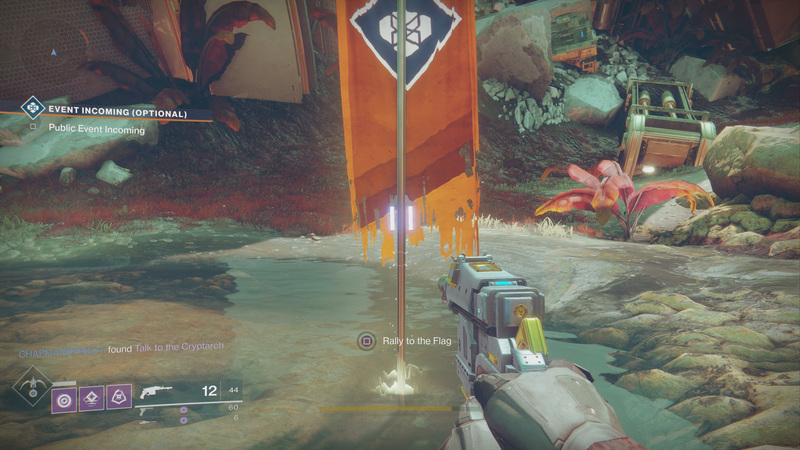 What Does Rally to the Flag Mean in Destiny 2? What does it mean when you Rally to the Flag before Public Events in Destiny 2? Public Events, and especially their Heroic versions, are all the rage in Destiny 2 right now. It’s agreed that participating in them is the best way to farm Exotic Engrams, if there is such a thing. This has players moving from one Public Event to the next and, if they arrive early, seeing a flag near the starting point with the option to Rally to the Flag as you approach it. At first, we believed that the more people who chose to Rally to the Flag, the faster the Public Event would start. This is not the case. It has nothing to do with the timing of the Public Event starting, but is rather used for Guardians to prepare themselves for the intense fight that will follow in the minutes ahead. Take note of your Super Ability, Grenade, Melee, Class Ability and ammunition situation. These will most likely be depleted in some way since you’ve been fighting throughout the planet you’re on. Once you Rally to the Flag, however, they will all fill up. You will instantly have a full Super Ability, Grenade, Melee, Class Ability and more Ammo. Be careful, though, as the Rally to the Flag option appears to only allow you to use it once. This means that you can’t just farm it for giggles while you’re waiting for the event to start. It also means you should set your preferred loadout before you Rally to the Flag. You want to have the weapons and Abilities that you feel will work best for the upcoming Public Event charged. There’s not much more to say about Rally to the Flag, but there’s a lot more for Guardians to learn about the game. Be sure to visit our Destiny 2 complete strategy guide to make the best out of your journey.